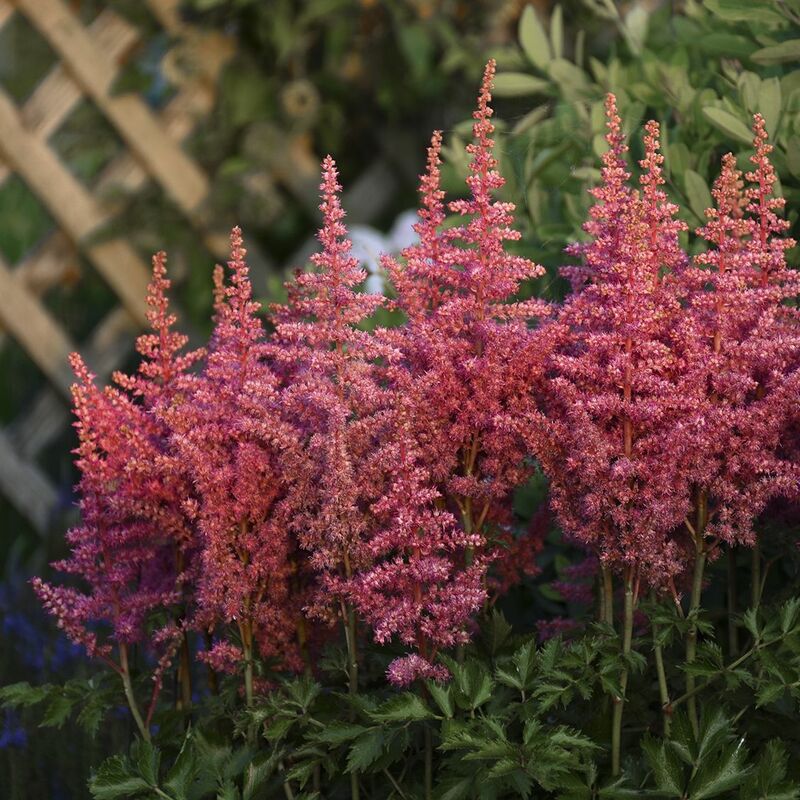 Astilbe chinensis 'Rise and Shine'. 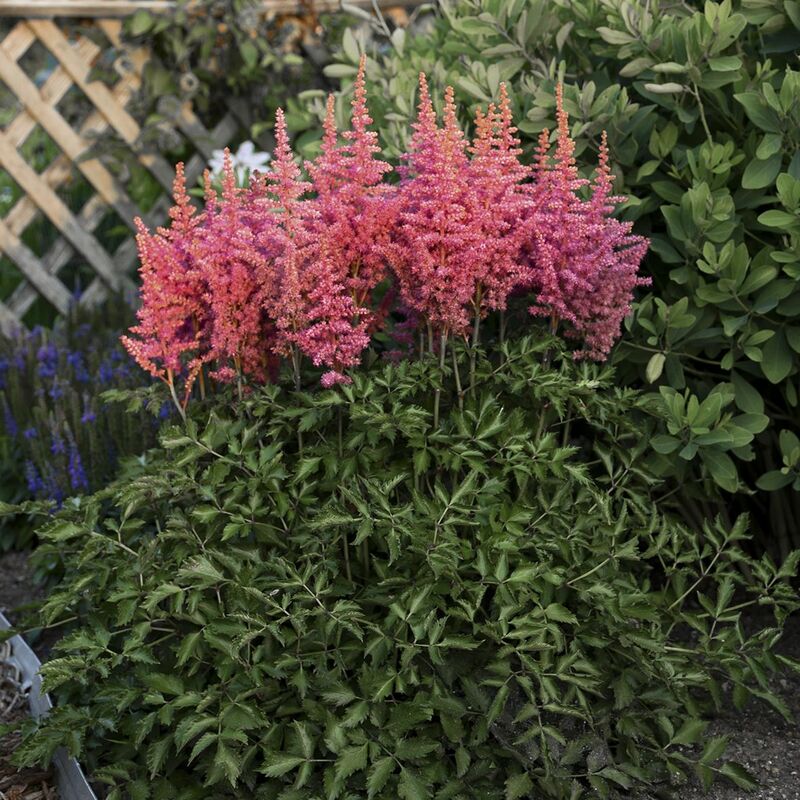 A bright and colorful specimen that features large 8" hot pink plumes on strong stems mid season. This newer beauty comes from superior genetics that result in better flower color, stronger root systems and increased tolerance to full sun and drought! 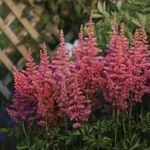 Photography courtesy of Walter's Gardens, Inc.